Here is the second installment of the role reversal of denim! Nothing says a lazy day quiet like sweatpants. These Alexander Wang pants have been with me for some time now, they are uber comfortable and I love pairing them up with different tops. I love that denim top gives it a dressed up feeling but doesn't make the look awkward looking. The booties are perfect for this look, dresses them up and gives it a pop with the print. This look was perfect to "run" to the grocery store in and do our weekly shopping. 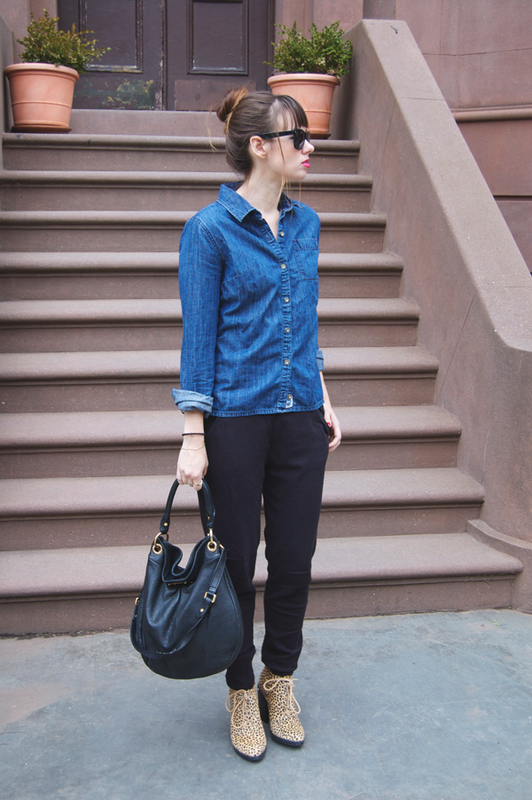 I think when doing a sweatpants and denim top a low heel is preferred to keep it chic looking. This look is perfect for those lazy weekend days when all you have to do is step outside to run errands. What do you think of the denim top with sweatpants? Love this look, I'm a huge fan of sweatpants. 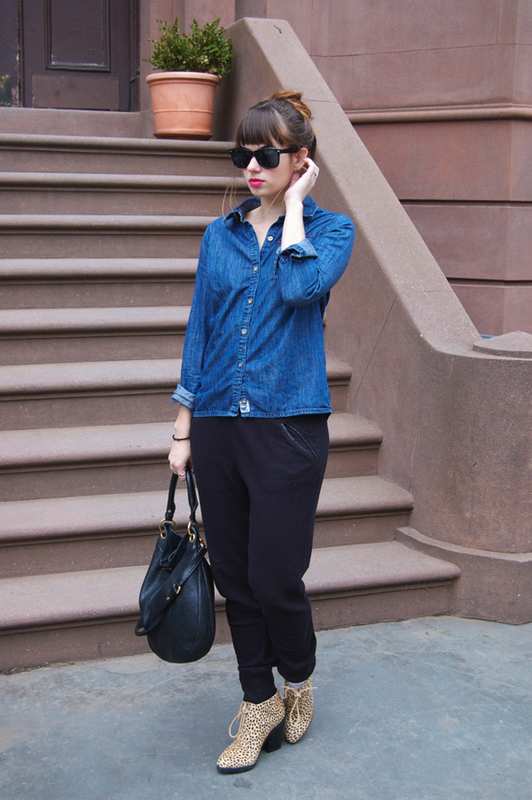 I feel like chambray + sweats are the perfect casual look :) you wear it fabulously! SO cool look, your style is really amazing! lovely pics! Ahh, I love this! I wish I could pull off sweatpants as daywear as well as this, you are really rocking them & I love booties too!